Bakchormeeboy: Back when we spoke at the media preview, you mentioned that this year’s festival happens to focus on the voice of the ordinary person not heard in theatre. Was this a conscious thematic choice when selecting the scripts to be staged this year, or a happy coincidence? Alfian: It was quite a conscious choice, actually. We want variety in the Singapore Theatre Festival, and that means trying get as diverse a range of voices on stage as possible. So we were particularly drawn to plays that explored what we felt were underexplored in Singapore theatre—like the experiences of a young actress of Indian ethnicity (Building A Character), or of an Indonesian domestic worker in Singapore (Supervision), or that of the Chinese working class of an earlier generation (One Metre Square). Bakchormeeboy: Following up with the previous question, paying for theatre can be difficult at times, especially for some of the ‘ordinary people’ featured in the play, from the maid in Supervision to the vendors on Sungei Road. W!ld Rice has always been about making theatre accessible, including the move to release 500 free tickets to youths this year for the festival (to roaring success), alongside W!ld Rice’s Gift of Theatre. Besides being a champion of racial diversity across your plays and reaching out to youth, how could we bridge the class divide within the theatre-going audience and introduce it to ‘ordinary people’ who do not usually have a chance to attend theatre? Alfian: Firstly I think we have to recognise that in many cities the people who go to the theatre will tend to be members of the middle class. They are the ones who not only have the financial means (since theatre tickets are relatively pricey compared to cinema tickets) but also the cultural capital to feel comfortable with the theatre-going experience. A direct answer to your question is that we should expand the middle class, and that would mean trying to address issues of inequality in Singapore. This of course will involve political will and systemic shifts, and a rethinking of the function of welfare and redistribution in our society. Secondly, I also feel we need to be careful about understanding what it is that certain marginalised communities want out of the experience with theatre or drama. Because there is also applied drama, for example, consisting of a whole range of practices—drama in education, drama therapy as part of clinical practice, prison theatre, playback theatre, and the various forms of Theatre of the Oppressed such as forum theatre, invisible theatre, legislative theatre, etc. I feel that if we want to reach out to certain communities we cannot come from a position of assuming that we know what is best for them. Thirdly, as you’ve mentioned, we have been offering free and discounted tickets to certain groups who we know have less spending power. Students and senior citizens are also entitled to buy last-minute ‘rush’ tickets to a performance. Also, we have given out free tickets to some of the vendors from Sungei Road, as well as to domestic workers who are living at a shelter run by HOME, or Humanitarian Organisation for Migration Economics. The shelter provides a sanctuary for many of these workers who have suffered abuse and exploitation. Bakchormeeboy: W!ld Rice featured a double bill of Malay-language work in 2016’s theatre festival, and this year features a double bill of Mandarin work, alongside Absence Makes The Heart as a commentary on the lack of Indian roles. Should the duty of presenting original non-English plays lie solely in the hands of non-English theatre companies? How do you see W!ld Rice in fitting into this mission of showing more non-English work, and what challenges do you face as a predominantly English-language company staging such work? Alfian: Just off the bat, I will say that this categorising of Singaporeans as Chinese, Malay, Indian and Others is less a reflection of who we really are but more of an administrative structure designed by the state to manage diversity in Singapore. To apportion certain linguistic and also religious rights to each community so as to meet certain minimum requirements of equality of treatment that the project of multiculturalism demands. We’re a lot more messy in real life, and some of us hop around among those boxes. A play like Grandmother Tongue, for example, was in three languages: English, Mandarin and Teochew. A play like Hotel featured individual scenes that were almost completely in Malay, or Cantonese, or even Japanese. This idea that there should be separate language media—newspapers, radio, television—all grew out from a multicultural policy where each ethno-linguistic community should have access to media in that particular language. Because a lot of this is state-controlled media, the language used is also prescriptive, that ‘newscaster version’ which is supposed to be the standard. But I think Singapore theatre doesn’t see itself as part of this media ecosystem. I don’t think any theatre company will be caught signing on to be part of the Speak Good English Campaign. We don’t use standard ‘bahasa baku’ in Malay theatre. And I think increasingly in Chinese and Tamil theatre there are attempts to write in street vernacular and even dialects. So to answer your question, I think the way the theatre landscape is often described is as if it follows the streams and categorisations of local media. But that’s not really the case. 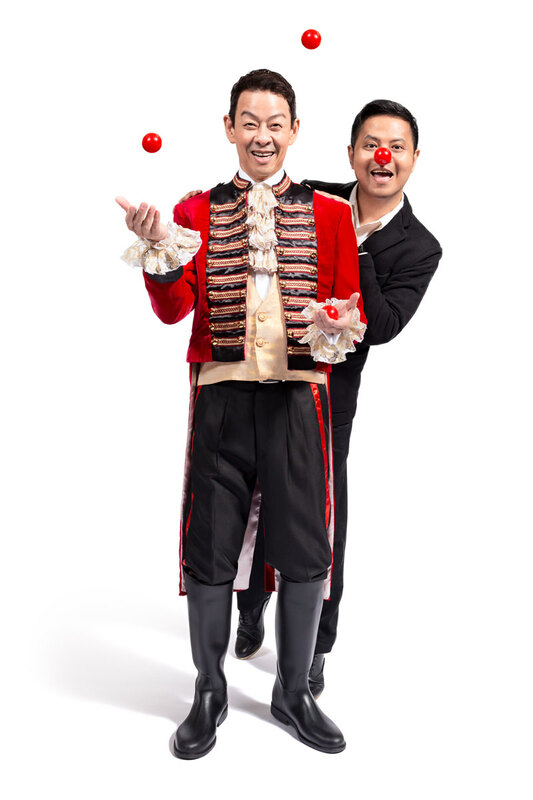 Companies like Teater Ekamatra and The Finger Players identify as bilingual theatre companies. 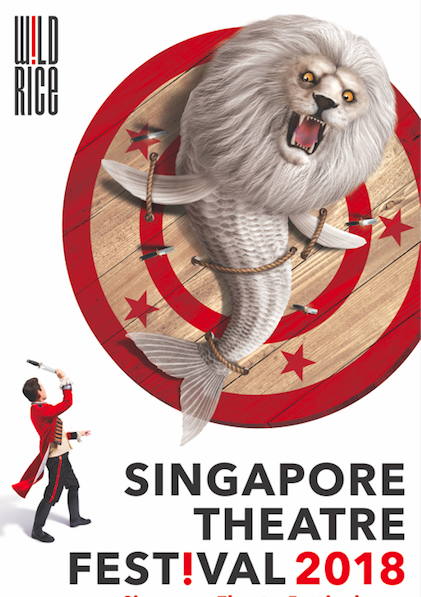 As a platform, the Singapore Theatre Festival is committed to showcasing works in any of the Singaporean languages. As for whether W!LD RICE itself will programme more non-English works as part of the company’s main season, we’ll have to study whether this is a beneficial development for the scene as a whole. I can write plays in Malay, and Thomas Lim, the other playwright in the company, can write in Mandarin. But will this ‘steal’ the audiences away from companies which are dedicated to non-English works? We have to be very careful about turning into a hegemon, especially since we’re going to get our own space in Funan next year. So I think in the immediate future we’ll look more at platforming these non-English works and even co-creating and co-producing with non-English companies, without eating into their share of the audience market. Alfian: I must say first and foremost that I’m only building upon Ivan Heng’s vision that the festival be this exciting tent for new playwriting. Over the years, the festival has evolved into a platform for young writers to premiere their new plays. In the first few iterations—in 2006, 2008 and 2011, we would co-produce with other theatre companies such as Drama Box, The Theatre Practice and Teater Ekamatra. And if there were some young playwrights I think we sort of left it up to them—talents like Joel Tan, or Ng Yi-Sheng, or Zulfadli Rashid—to work on their plays by themselves. I was in my early 30’s back then and maybe I didn’t feel too confident about acting as a dramaturg. But after the year 2013, when W!LD RICE did a retrospective of my plays as part of the Spotlight Season, I felt ready to work closely as a dramaturg for play development. I try to watch as many plays as I can, especially the ones that are not on SISTIC — which means they’re the independent, smaller scale shows. In September 2015 I gathered representatives from 8 different theatre groups, like Couch Theatre, Bound Theatre and Red Pill Productions—we met at Ivan’s house. That was where we first met Thomas Lim, who’s now an Associate Director for Youth and Education with W!LD RICE. One month after that meeting Thomas sent us a proposal for play, Grandmother Tongue. By November he was sending us scenes. I remember an email I’d sent to Ivan, where I said, “Thomas knows how to write characters!” And then we worked closely on workshopping the play with the actors Jalyn Han and Tan Shou Chen. And I realised that I really enjoyed the process. Like for example, telling Thomas that Supervision is a play that is more than just about cameras and technology, that there are very deep ethical issues at stake as well. And then seeing the wonderful things he does with that note. Or telling Ruth to try writing the text for Building A Character with line breaks. And that become a breakthrough during the process because I think she found the voice she wanted to use in the play. Her instinct is for poetry. And now as co-artistic director of the Festival I’m playing a much more involved role in play development. I meet the playwrights, like Thomas, Ruth Tang, Neo Hai Bin, Chong Woon Yong and Pam Oei, we have discussions over a meal, I attend reads and workshops. But it depends on what the playwrights need. I won’t impose on them if they’d rather work in a more solitary fashion! Bakchormeeboy: Ultimately, who is the Singapore Theatre Festival primarily intended to reach during the festival? In showcasing this diversity of voices from Singaporeans of all walks of life, what do you hope that audience members walk away with, or how do you hope the local theatre scene will be affected? Alfian: It’s my hope that most people will find something that they like at the Singapore Theatre Festival. There’s a reason why the festival has that name, and it’s because we ask two fundamental questions, which are ‘What is Singapore?’ and ‘What is theatre?’ I wish for the festival to inspire conversations. That’s why we’ve also lined up our regular Art & Life Sessions, which is to actually bring activists and artists and academics all in one room—to affirm how artistic practice is very much part of civil society. I’m always very moved when I see audiences linger outside a theatre after a show—to speak with playwrights, directors and actors. People who were just strangers to them 2 hours ago, and now they want to have these heart to heart conversations. In a place like Singapore, where we’re used to minimising human contact, something like that counts as almost a miracle.